A traditional German cookie with a black licorice flavor from the ground anise seed. 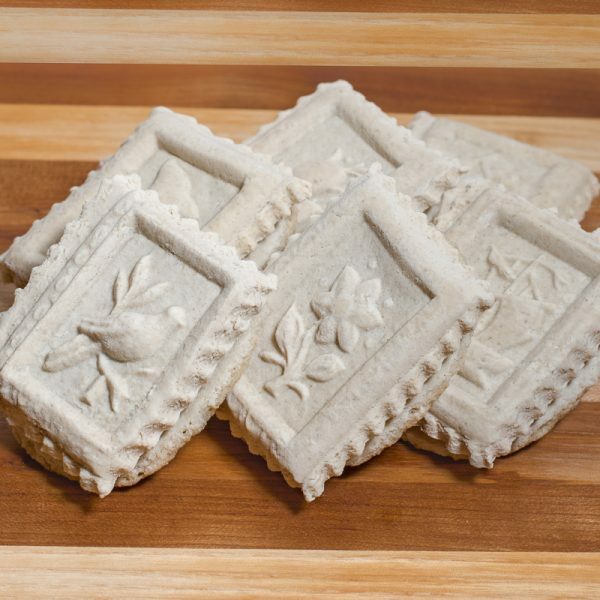 This light and delicate cookie is created from hand-pressed molds, then cut into tiny portraits. Available year round.